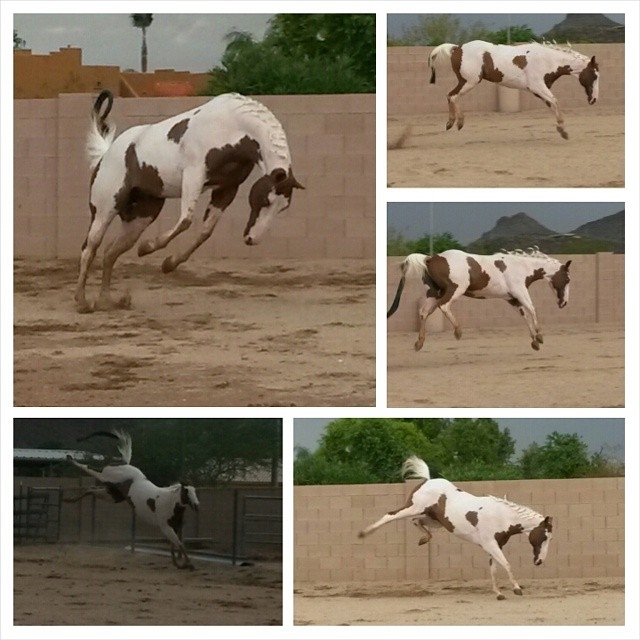 Rocket is a 12-year-old APHA paint gelding who lives in Arizona. Samantha first laid eyes on Rocket while attending a reunion with an old childhood friend. He was used as lesson horse at the time, and had a history of taking advantage of his riders. Since Samantha grew up riding and showing Arabians in the Western Pleasure world, she knew how to handle challenging horses. 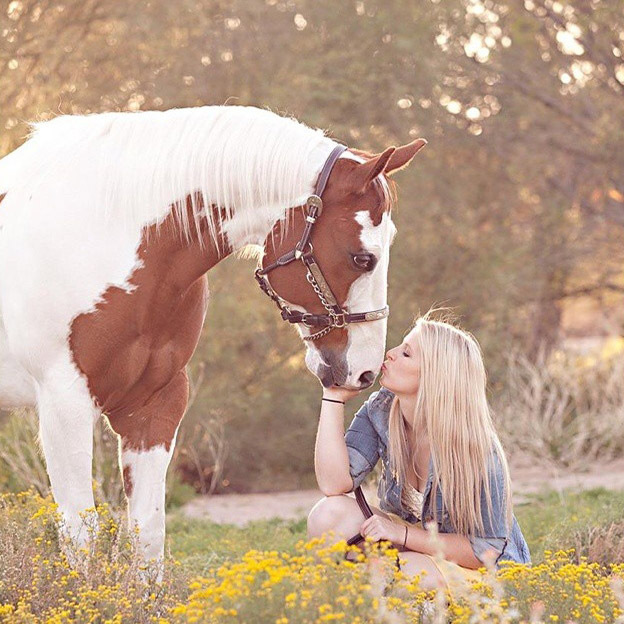 In fact, she had always been drawn to that personality type in horses. When she rode Rocket for the first time, she quickly let him know that she wasn’t just ‘along for the ride’, and made him work---for he had previous western pleasure training. She was quickly hooked—and leased him for 30 days before eventually purchasing him in August 2013. 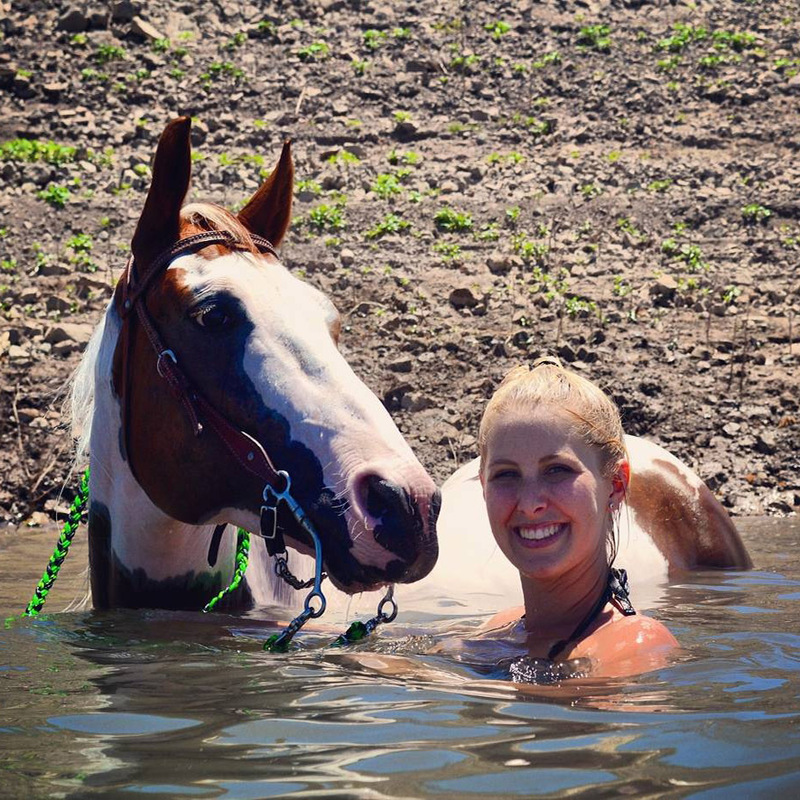 Since then, Samantha and Rocket compete in Gymkhana events, go swimming in the lake, and go on lots of trail rides. One day when bringing Rocket in from the turnout in the pasture, Samantha noticed blood on Rocket’s foot. When she looked closer and after cleaning the blood, she noticed a large crack in Rocket’s right front foot. 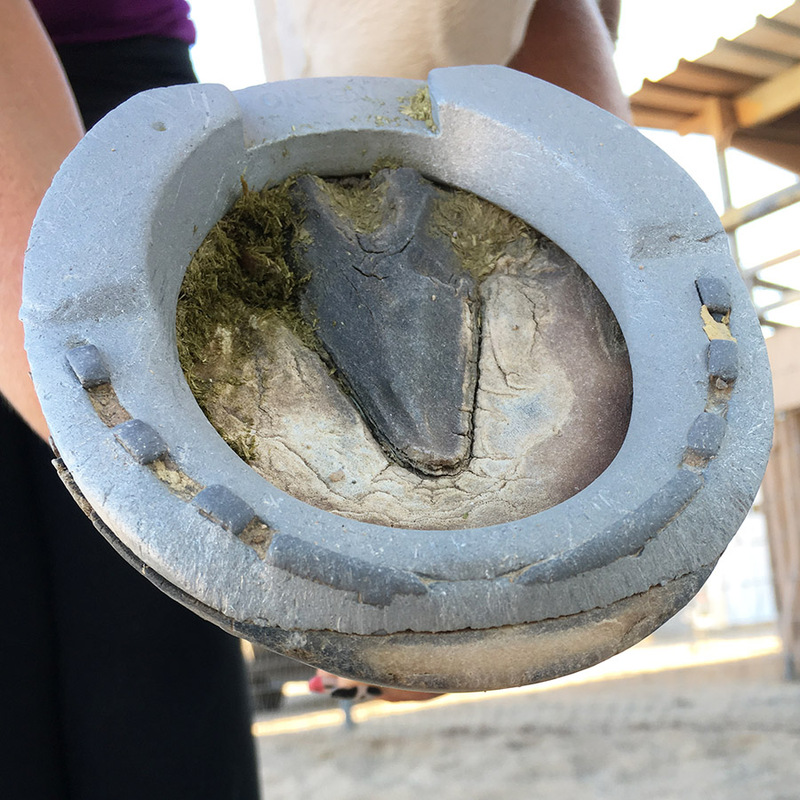 The crack started at the coronary band and extended downward to just past the middle portion of the hoof. The crack was surrounded by dried blood. Samantha called her veterinarian, Dr. Jimmy Merrill from North Valley Equine. 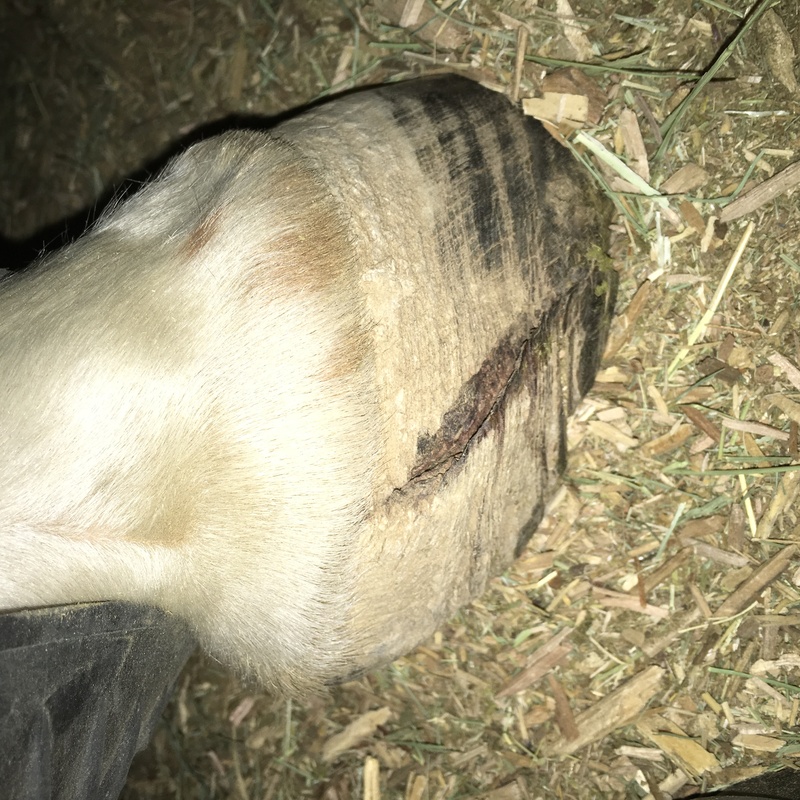 He advised her to treat the hoof crack with Ricken’s Formula™ and to make sure to keep the foot clean and bandaged---for the biggest concern was the risk of bacteria entering the hoof cavity and causing an infection. For the next 3 months, Rocket stayed on stall rest and Samantha kept his foot bandaged, changing it every 1-2 days. Rocket was never initially lame and remained sound during this time. During this time, Samantha noticed that the crack in Rocket’s hoof was gradually growing in size. However, although the crack was larger, but not any wider. 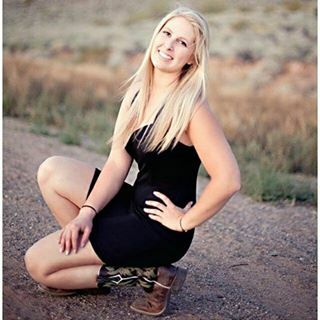 By 5 months, Dr. Merrill advised that Samantha could stop wrapping the hoof and that she could begin lightly riding him again, but to keep an eye on the hoof and call him if anything changes. 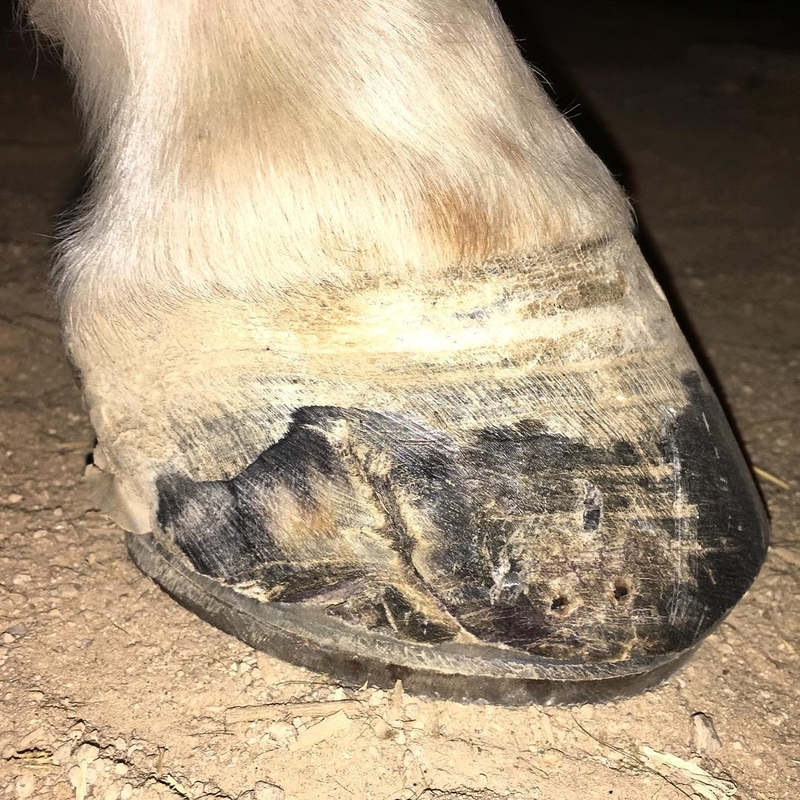 Dr. Merrill received a call from Samantha soon thereafter, for Rocket suddenly developed severe lameness in his injured foot, as well as the left foot. Dr. Merrill came out to the farm to check on Rocket and performed a lameness exam. 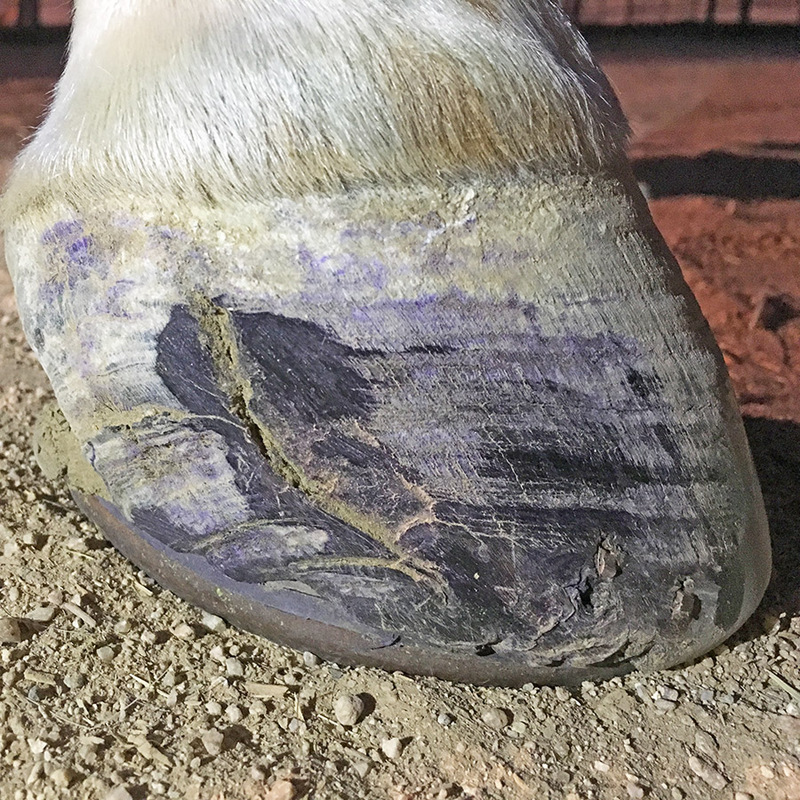 Based on Rocket’s conformation (Paint horses have a predisposition for navicular syndrome), clinical signs, and the lameness exam, Dr. Merrill suspected that he had borderline navicular. To confirm the diagnosis, Dr. Merrill normally would have taken radiographs of Rocket’s feet, however he decided against it at the time due to how highly sensitive Rocket was acting about his feet. Samantha’s farrier tried some different techniques to try to help with the pain, which included rocker and reverse shoes, however neither were successful. Rocket seemed to always go lame for the first several days following each farrier visit, then be sound for the next 5-6 weeks until his next shoeing. Samantha became really frustrated and upset, because she wanted to try to help Rocket but wasn’t sure what to do. 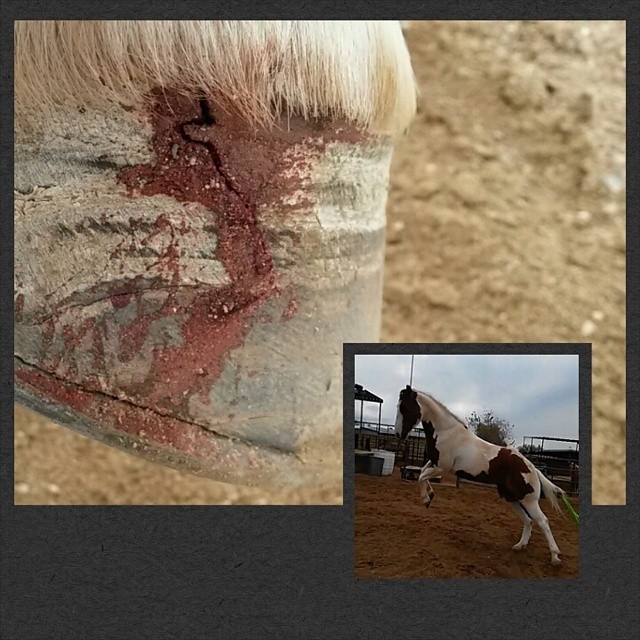 She talked with her vet, posted on Facebook message boards pleading for help and eventually decided to switch farriers. 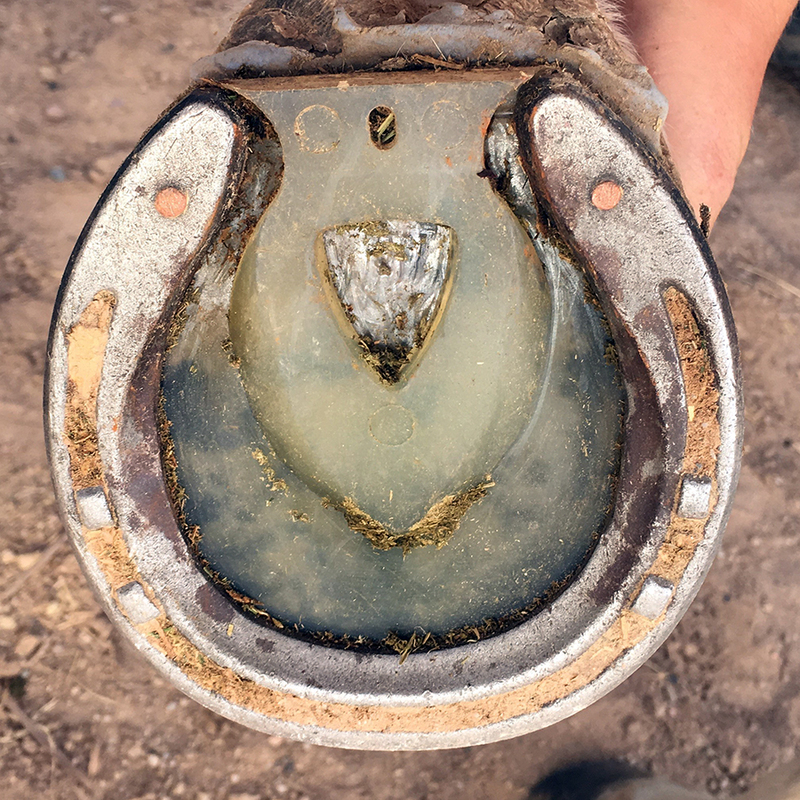 After Rocket’s appointment with a new farrier – Riley Cameron, Samantha came to find out that her previous farrier had been shoeing Rocket in horseshoes that were two sizes too small for his feet! 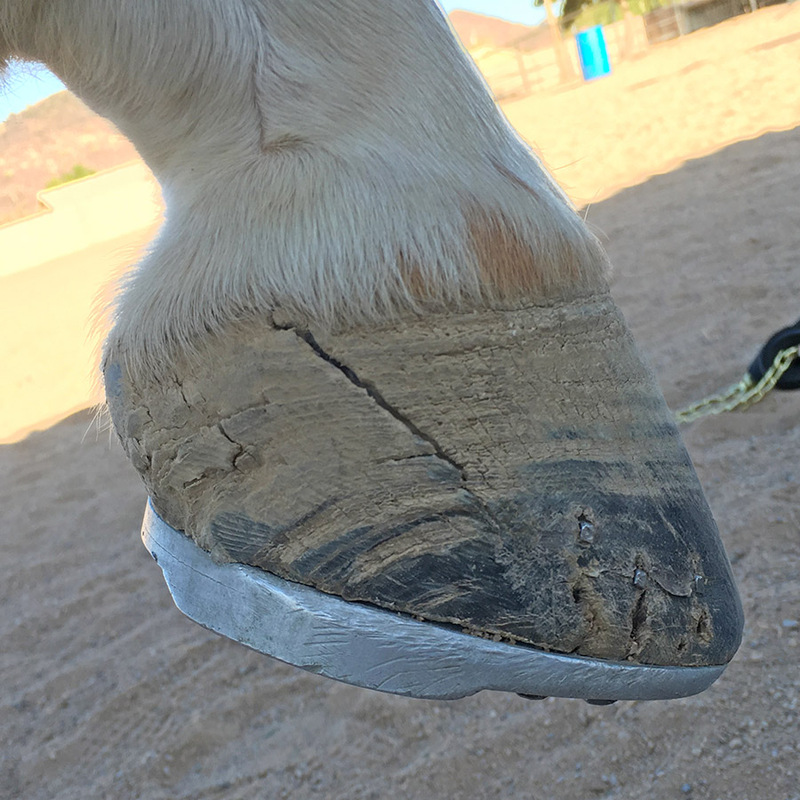 This caused his heels to contract, and is what contributed to the crack in his hoof coming even further apart. 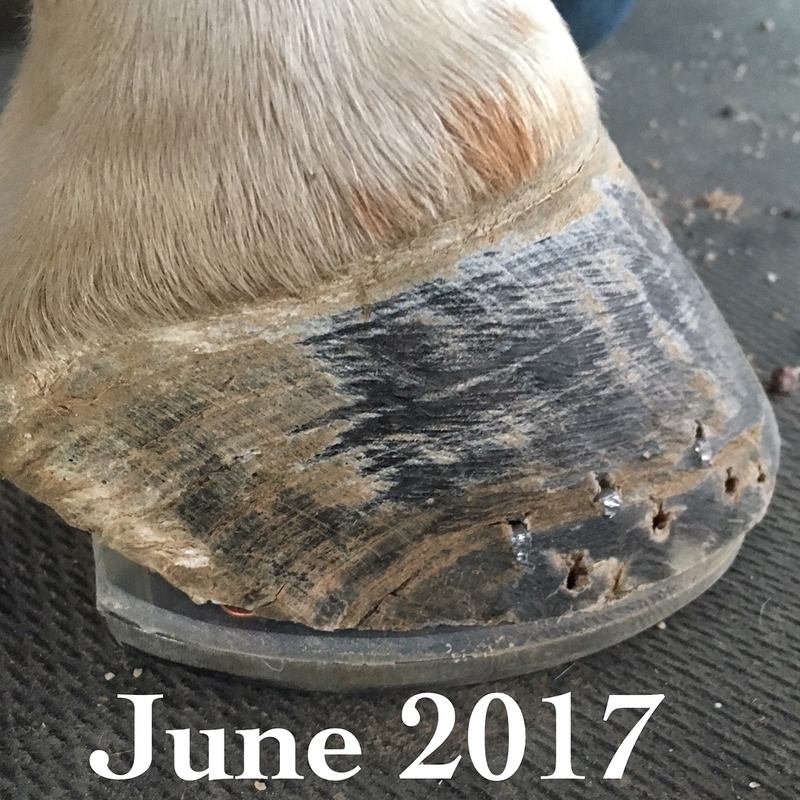 Rocket’s new farrier shod him with a new set of rocker shoes (that were the correct size for his feet) with plastic pads (to help with his navicular). Riley wanted to keep Rocket in in the rocker shoes for at least 8 weeks, to be able to get the most hoof growth possible. Dr. Merrill also came out during Rocket’s farrier appointment and concurrently started him on Previcox. Immediately following Rocket’s farrier and vet appointment, he changed---and was finally staying sound for longer periods of time. In about 8 weeks, once Rocket’s hoof had time to grow and he was finally sound again, Riley transitioned Rocket back to normal steel horseshoes with pads. At the same time, Rocket stopped receiving the Previcox. 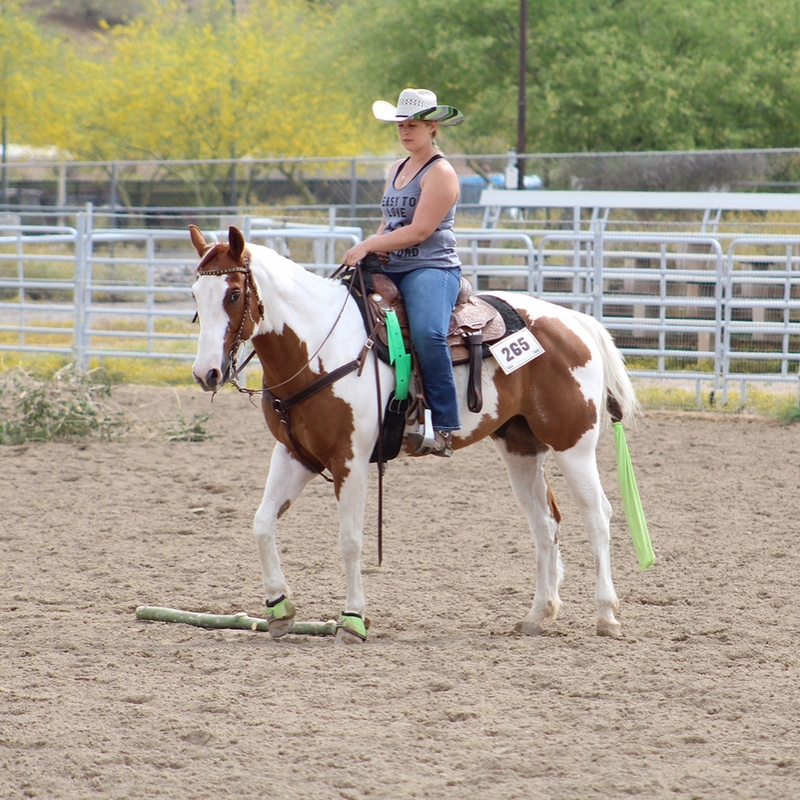 Almost one year from Rocket’s initial injury, Samantha was able to start working him running barrels and poles again. For the next six months, the two competed in their first Gymkhana together. A Gymkhana is an equestrian event in which riders are timed individually racing through a pattern (such as weaving poles), or compete in games on horseback (such as the egg and spoon race). Riders are given penalties or disqualifications for touching, knocking over, or dropping objects. 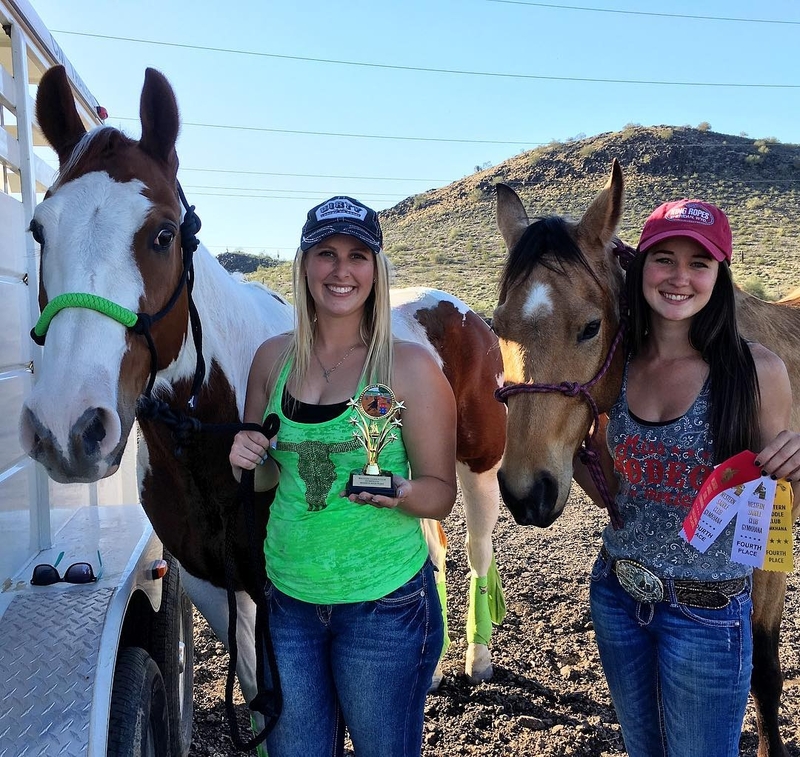 At the event, Samantha and Rocket even received high point, which in the western pleasure horse world is a significant accomplishment. Samantha and Rocket kept competing together and continued to do well and had fun. However, at their last Gymkhana (which was just before her Summer Break in June 2016), she and Rocket were running barrels and as soon as they finished the course, Rocket walked out of the arena really lame. 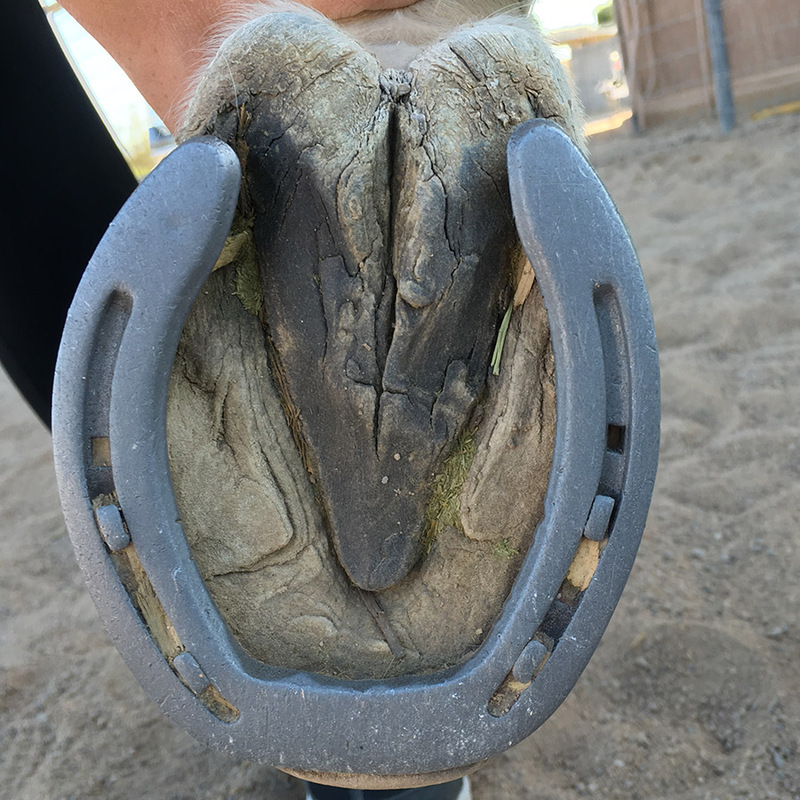 Once they got back to Samantha’s horse trailer, she found that not only did Rocket pull a shoe, he also re-cracked his previously injured hoof---all the way up to the coronary band. After one month of stall rest, Rocket was sound. Ever since the one month of stall rest, Rocket has been completely sound and about 98% of his hoof has regrown. 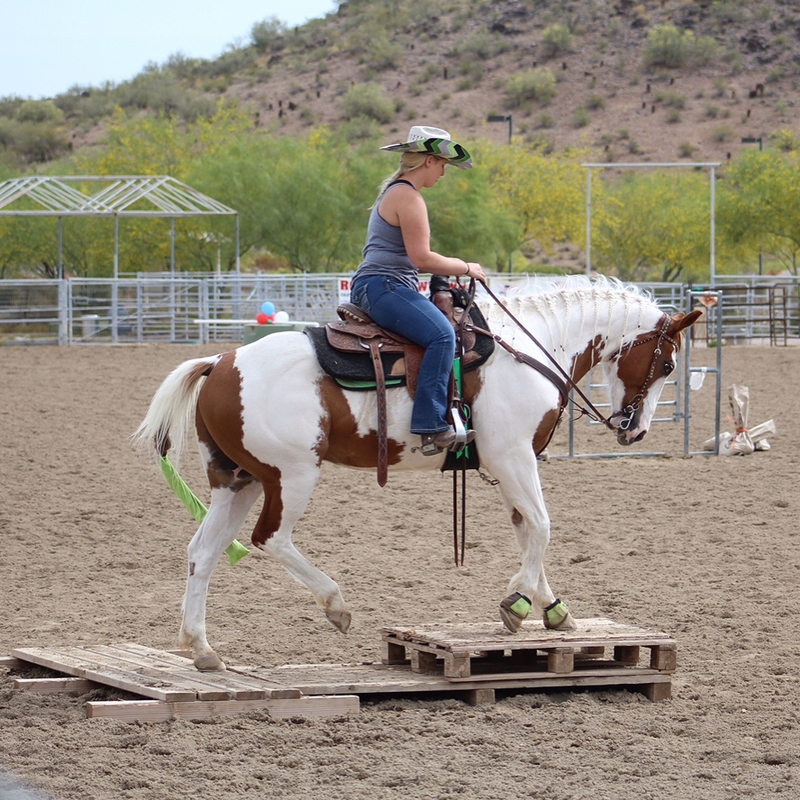 Samantha and Rocket competed in multiple Gymkhana events, and the two have done well together. However, the only complication Samantha found was that Rocket tended to have a difficult time keeping horseshoes on. 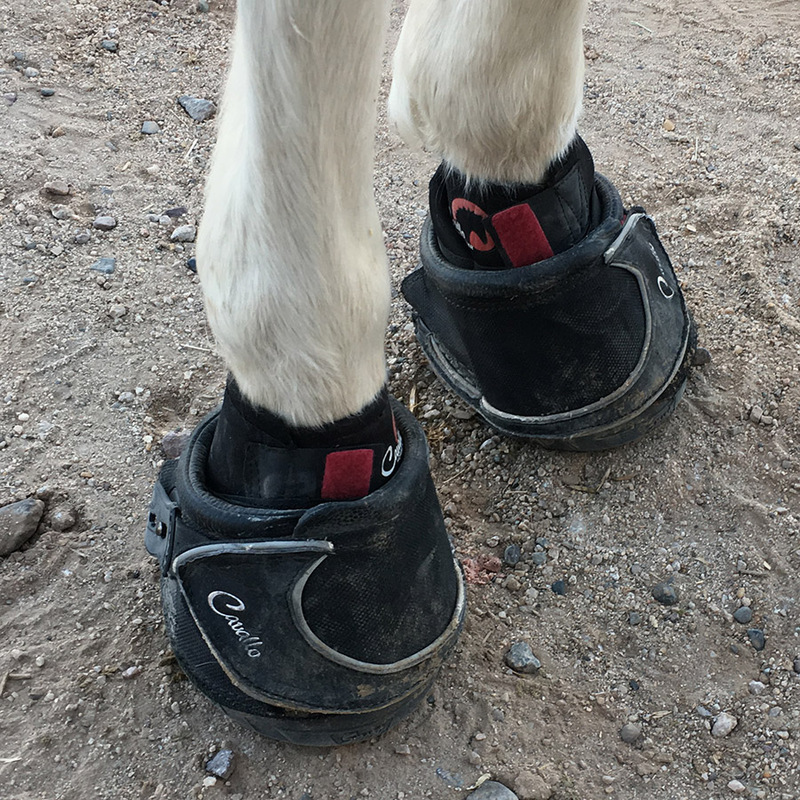 To reduce the risk of Rocket losing his shoes as often, Samantha invested in a pair of Cavallo™ boots for Rocket to wear during causal arena riding or on trails. 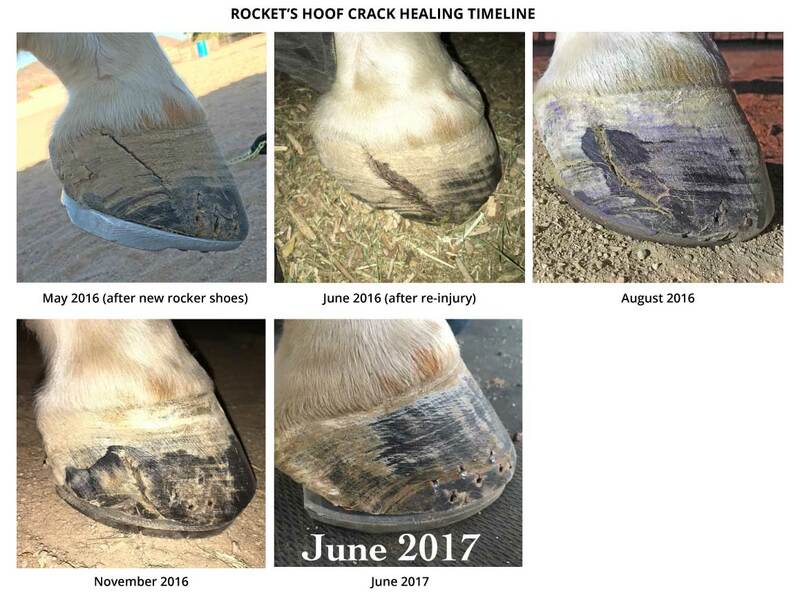 It took almost 2 ½ years from when Rocket initially injured his hoof for the crack to fully heal. Today, Rocket is 100% sound and actively going on regular lake swims, trail rides, casual arena riding and Gymkhana competitions with Samantha! Follow Samantha and Rocket on Instagram and keep up with their adventures at @sammbobamm. 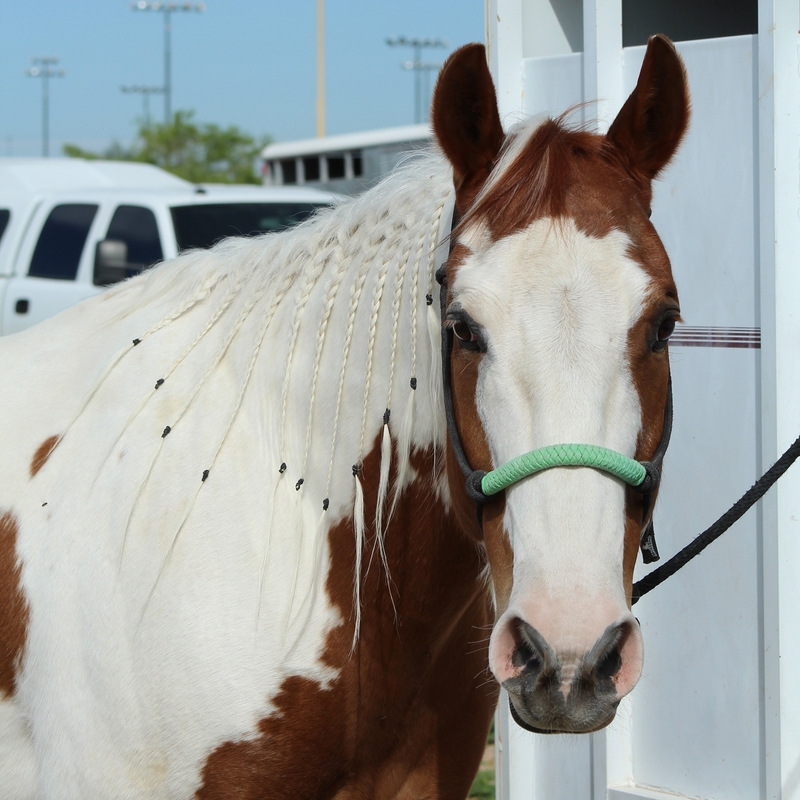 North Valley Equine, located in Glendale, AZ, is a mobile Equine Veterinary Practice which was founded in July 2012. 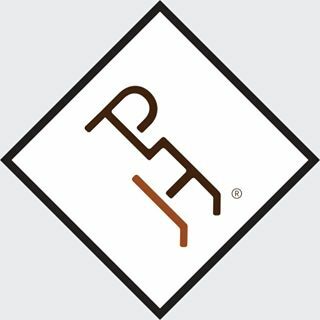 They provide farm calls, medical examinations, lameness evaluations, pre-purchase exams, preventative care, reproductive procedures, dental work, some surgical procedures, and more.